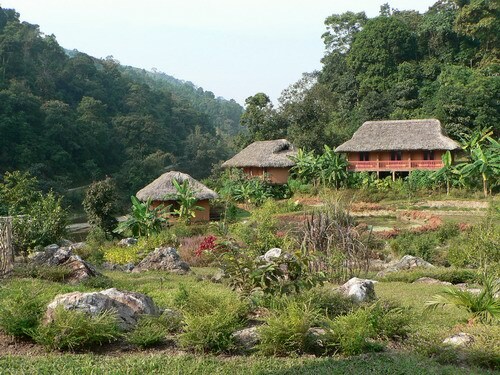 Pan Hou ecolodge village resort is in Hoang Su Phi district, Ha Giang. Located in a remote beautiful green and high-potential area of mountain jungle, beautiful valleys with running rivers and small villages with the many colorful ethnic minorities living in these areas. The resort has 12 bamboo houses on an area of 2 hectares with ponds, vegetable gardens. The houses are very simple without TV, internet. Although a car road has been built to the area, tourists to Pan Hou ecolodge still have the feelings of being close to the nature. The Tay gardeners keep busy in the terraces of the park dotted with houses inspired by local habitations. Thirty rooms with bathrooms supplied by a solar water system. 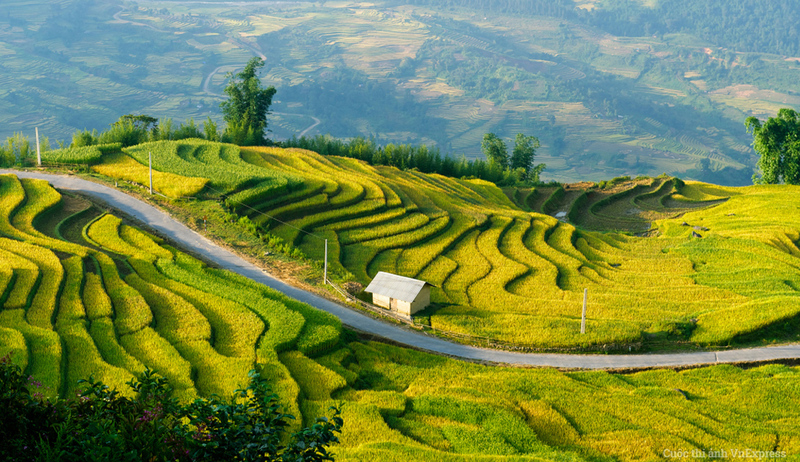 Pan Hou Village “base camp” is the right place from where to go and discover the various landscapes of this region. The numerous markets are one of the key points and we organize, from Pan Hou village, 1 to 3 days trips to visit some of them. Of course, hiking is our main activity and we can propose and arrange with local guides and porteurs and cook from 1 day walking excursion to 10 days trekking with nights in ethnic minority houses ( Tay, Nung, long skirt Yaos, Man Ta Pan).